I feel like there are new shops opening up all over Cape Town's city bowl. It's got me all excited and this is one the best of all! Take Care and Adriaan Kuiters finally have a home on Kloof St! 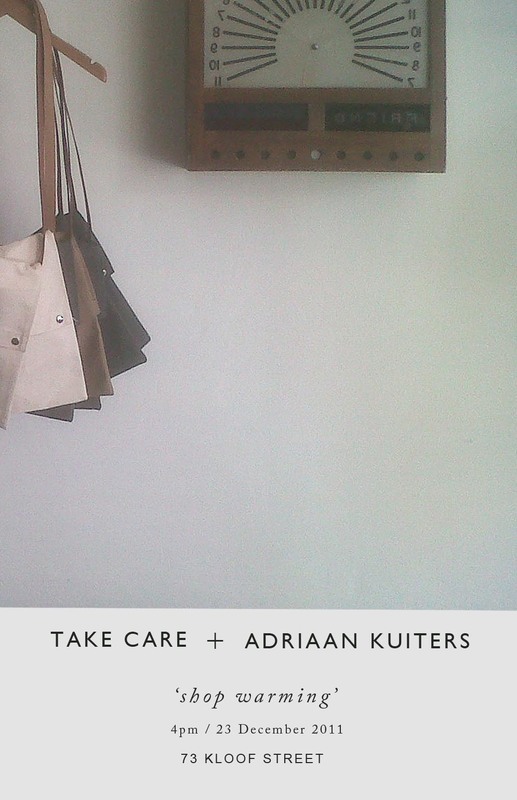 Their shop warming takes place this Friday the 23rd at their new home 73 Kloof St. I already stopped in yesterday and purchased myself 2 new outfits. YAY! Take Care is a wonderful collection of basic, beautifully designed women's clothing by Jessica Harwood. Adriaan Kuiters wardrobe is clean, sophisticated and on trend for any stylish male, by Keith Henning.